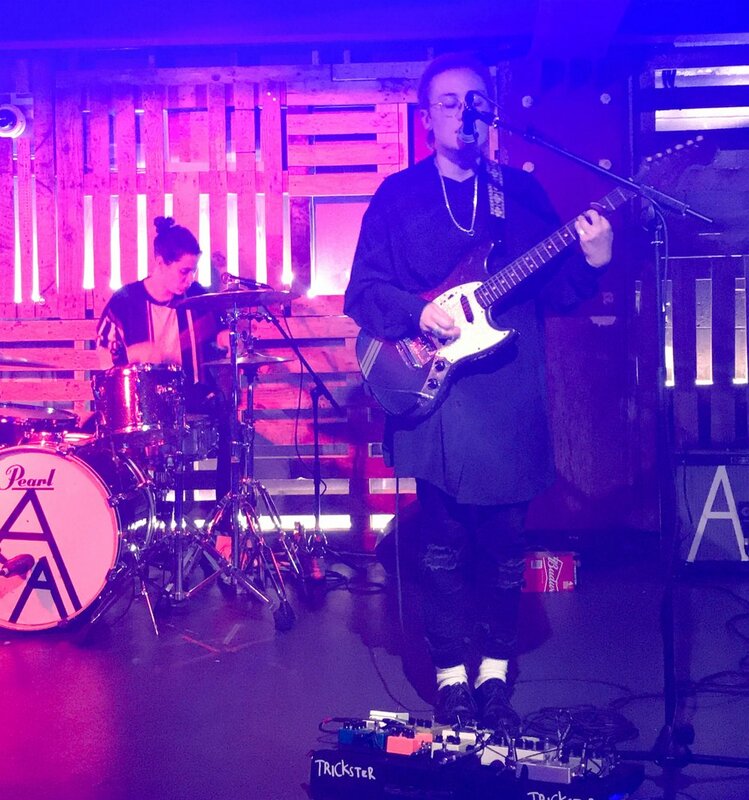 Experimental singer songwriter, Annabel Allum took to the stage at Newcastle’s Think Tank? Underground for the opening night of her first headlining tour. Considering Allum’s roots as a DIY artist, it’s not so shocking that she should seem so completely in control of her live set. Taking into account her supporting slot on Beth Ditto’s 2017 European tour and her string of international festival appearances this past summer, this tour seems like the inevitable reward for years of hard graft. The set itself was more than just a mosaic of sound, it was a display of the enigmatic personality of a born front woman. From the secret smiles Allum shared with her bassist and drummer, to a song dedication to a fan she took the time to chat with before the show, the woman was brimming with charm. In conversation with the crowd, she thanked us for spending our Tuesday with her, advising we make the most of it “because we’ll never get to live it again”, before going ahead and showing us just how that living is done. Despite the serious subject matter, the sass behind the line delivery and the pace of the melody itself brought a lightness to this rendition, and its hooks demanded movement from the audience. In fact, Allum herself seemed susceptible to its contagiousness, slipping into an endearingly awkward stage amble after she tweaked her peddle board, lightning quick, to drown us in an epic whammy of a guitar solo. Another gritty, guitar infused crowd pleaser was ‘Beat the Birds’, taken from this year’s EP 'Sorry I’m Not Perceptible' and apparently written about “a night of doing naughty things with someone”. 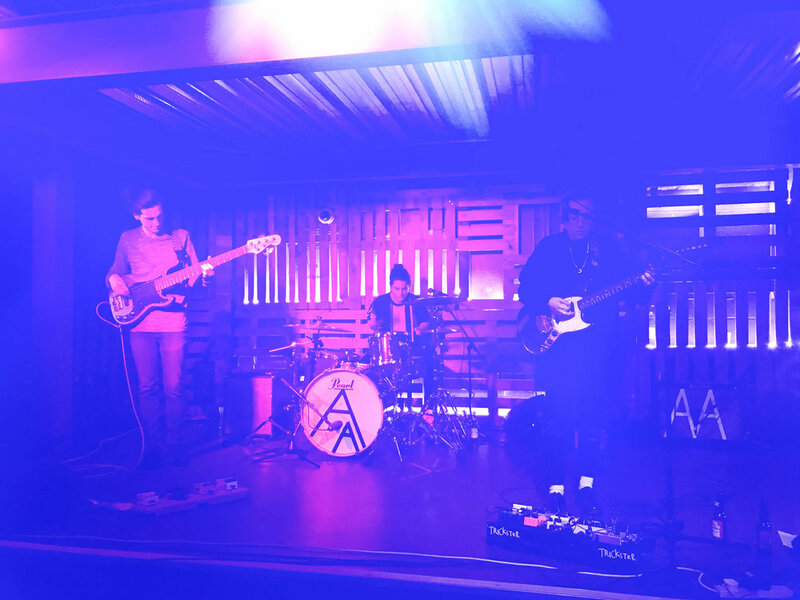 There's a cheeky swagger about it and it came as no surprise that it landed Allum a mention as Huw Stephens’ 'Introducing Track of the Week' and a spot on BBC Introducing's playlist. ‘Sofa Song’, released just earlier in the day, srtuck home as a clearly structured, well executed indie tune. There was an ever so slight evolution in sound with this track that was also evident on ’Fear Naught’, released just a couple months ago. Hearing them live further signals a deviation from the lo-fi production of Allum’s earlier Eps, leading up presumably (hopefully) to the debut album. She then brought us back to her emotional core with the tender realism of her lyrics in ‘Mouse in His Mouth’, sharing with us the meaning behind it; a song that tells of a close friend ”who got into drugs and couldn’t get back out again”. These thoughtfully crafted lyrical stories would be nothing if her voice didn’t fit them, luckily however it does as she weaves her way through the visceral lyricism and commands the attention of the listener. Allum has been open about such sincerity, in an interview with Atwood Magazine during which she confessed that ‘RASCAL’, another from this years EP, “pinpoints a time where I felt like I was trying to please everyone and therefore my inner self was suffering”. The audience is left believing this wholly, as she closed her eyes and, almost as a mark of self confession, chants: “I’m just a rascal of a woman, I seem to play with peoples hearts….that’s just how things are”. That cathartic nature was only amplified further by the intimacy of the venue, giving the impression that I'd stumbled on some private session of the soul. ‘Em(ily)’, a track dedicated to the unwavering support and counselling of a best friend, sang us out. A fitting end note that encapsulated the introspective essence that plagues much of Allum's catalogue along with her signature gritty guitar play. Though this crowd was small, there is a promise of looming greatness in the sheer talent that is Annabel Allum. The dynamics of her sound and the authentic layers of her writing represent a shared experience in our modern youth and the sincerity of the feeling behind it really comes to fruition in a live setting. Outside, after the gig, she hung around and took the time to really thank everyone, to introduce herself and humbly respond to our inevitable slew of compliments. There’s a certain sort of gratitude felt when you see a show like this one, when you know the next time you see this particular artist the crowds and production will be much much greater.